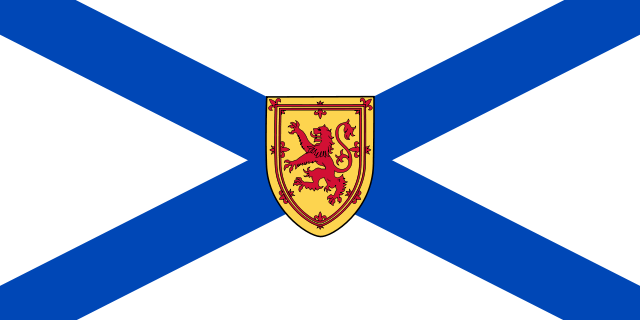 Nova Scotia Sports Betting - Is Online Gambling Legal? Nova Scotia is Latin for “New Scotland,” and it’s also one of the three maritime provinces of Canada. The population stands at less than one-million, making it the second-smallest province in the nation. The capital and largest city is Halifax, and this major economic center is heavily involved in mining, fishing, and agriculture. Legal gambling is available throughout the province in the form of a provincial lottery, horse racing, land-based casinos, and sports betting. The latter is the focus of this article, from how to make wagers to what athletic teams to bet on. If you’re a cautious person, it might be a good idea to consult an attorney before getting into the gambling scene. While our information is meant to be as accurate as possible, it’s no substitute for the advice of a suit-wearing lawyer. While there seems to be little risk involved with gambling in Nova Scotia, it never hurts to err on the side of caution. Sports betting in Nova Scotia is legal, and it’s managed by the Nova Scotia Provincial Lotteries and Casino Corporation. In turn, they have entrusted the operation of video lottery and ticket products to the Atlantic Lottery Corporation. The ALC operates throughout much of Canada, and they use a service known as Pro-Line to provide sports betting to the public. This style of betting is available at retailers across the province, especially at gas stations and convenience stores. Customers can also sign up for an online account and make their wagers over the Internet. • Must be 19 years or older in order to participate. • Only parlay bets (wagers on multiple players or teams) are accepted. The minimum is usually two, although it can rise into the double digits. • In almost all cases, the player must get all their predictions correct in order to collect a payday. • Odds are often inferior to those offered by online sportsbooks. • Pro-Line – The customer is challenged with predicting the outcome of two to eight sporting events. The player can wager from $2 to $25, and each prediction must be accurate in order to collect a win. Different types of wagers can be made, including moneylines, point spreads, and point totals. The following sports are available for betting: college and pro basketball, college and pro football, hockey, soccer, baseball. • Pro-Line Futures – In this option, the player may wager as little as $2 or as much as $100. The object is to predict the future winner of a tournament, division, or league. Player futures may also be available, such as predicting the league MVP prior to the start of a season. • Pro-Line Fantasy – This wager can be made for $2 to $25. It’s a parlay bet, as expected, but the player can combine two to five prop bets for players or teams. • Pro-Line Stadium Picks – Online players are able to predict the outcome of various sporting events and gain points for each correct guess. A leaderboard keeps track of those with the most points, and this eventually determines who’s eligible for prizes. • Stadium-Bets – Players make their wagers on two to eight event parlays, although this option is only available online. Wagers range from $2 to $250, and parlays can be chosen for moneylines, point totals, and point spreads. Online gambling isn’t illegal in Nova Scotia, but they also haven’t embraced the practice with a provincial-run online gaming site like some parts of Canada. Despite the government’s reluctance to offer such diversions to the public, residents can still hunt down virtual sportsbooks and place bets without having to worry about legal difficulties. Most online sportsbooks offer the Canadian dollar as an accepted form of currency. They also include multiple language options, which should be convenient for the French-speaking residents of Canada. • Dalhousie University – The Tigers compete in basketball, volleyball, track, cross country, swimming, soccer, and hockey. • Mount Saint Vincent University – The Mystics compete in basketball, soccer, and volleyball. • Saint Mary’s University – The Huskies are known for the football and hockey programs. • University of King’s College – The Blue Devils compete in rugby, badminton, soccer, basketball, and volleyball. • Cape Breton University – The Capers compete in basketball, soccer, and volleyball. Nova Scotia sports betting is quick and convenient, and its presence in most convenience stores allows you to pick up some groceries or snacks while wagering on your favorite teams. The presence of online gambling adds another opportunity for players, especially those in search of the best possible odds. And for anyone who grows tired of wagering on athletic competitions, there’s always the option of falling back on land-based casinos or the provincial lottery.